But the gift that really touched my heart this year had a crooked smile and heart of peanut M&M’s. I love little homemade gifts from my students; probably even more so now that I’m a parent. However, I’m not as good as a gift giver to my kids’ teachers. They had to settle for notepads and a gift card this year. Isn’t this little mouse adorable? One of my preschooler’s moms made one for each student in my class. I also received some hot chocolate truffles that I’m dying to try. The directions tell me to heat up some milk, drop the truffle in and stir until melted. I’d share with you if I could. Really I would. The first week of our holiday break is almost over, and it’s been full of preparation. We’ve been making and wrapping gifts and looking at our neighbor’s Christmas lights. Lily and Emmy watched Rudolph the Red Nosed Reindeer for the very first time. I mailed many, although not all, of our Christmas cards. The girls have eagerly been counting down the days! Love the potter there! So adorable 🙂 It is cool how creative kids can be! Thank you for sharing, teachers can be harder to buy for when we do not really know them so well. What cute gifts. My girls are out of school now. The last few years I did Starbucks gift certificates. I actually had teachers call and thank me for something so useful. Those homemade presents are adorable! You have some sweet, crafty students! Love that you love homemade gifts. We went with both for the teachers this year, an ornament, a tiny store bought tree and a gift card. I wasn't going to do the ornaments but I went in and made them for the kids to give their parents and the teachers wanted them too. How funny that you posted this today! I just got home from my last day of school before break (yes, we went right up to the eve of the eve!) and just opened all the gifts. What do you mean your daughters' teachers will have to "settle" for notepads and gift cards? Gift cards are the best gifts for teachers! There's no way parents could be expected to know our tastes in home decor, fashion, or food (not to mention allergies). 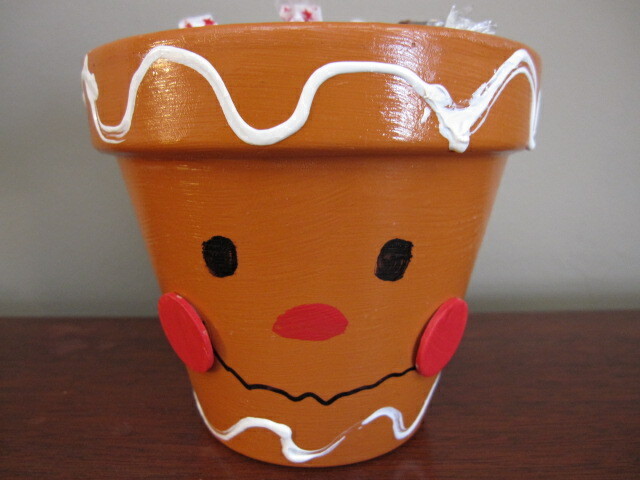 That flower pot was adorable! How creative! Precious..precious…I have done a lot of student and teachers gifts this year. I will need to remember this for next year. Merry Christmas to you and yours…..enjoy!! People are so thoughtful! & mouse is cute idea – thanks for sharing! We are definitely counting down the days here! I can only imagine what Abby is anticipating Christmas to be like but she's super excited! 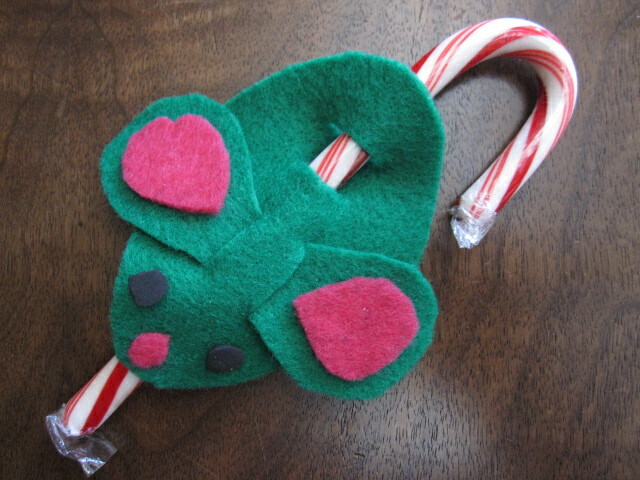 I love homemade gifts too… I still tend to make things for people and this year Abby made ornaments for everyone. I hope you have a wonderful Christmas!